How Does One Late Payment Affect Your Credit Score? Do you generally forget to make your payments on time? Are you not that punctual with your finances? Do you find it difficult to repay your credits on time? Your one late payment can impact your credit score substantially. The credit score plays a crucial role in loan approval. A good credit score ensures that your loan would get approved quickly and without any hassle, but what if a person has a bad credit score. Many questions that may pop up, like will the loan get approved, can the credit score be improved and how severely will the credit score get affected. Many reasons may affect your credit score, for example, you usually pay the bill on time, but due to specific reasons you were not able to do so; maybe because you have financial emergencies or you lost a job, or you just forgot to make the payment. Well, in any of the case if you fail to make the payment, it will affect your credit score. However, if this happens regularly, then it may affect your credit score severly. But if it’s just one time then there is a way out for the same. Let's understand what affects your credit score. When does the credit score gets affected badly? 3. If you miss the payment of your credit accounts. All these factors may make the lender see you unfavorable especially when it comes to loan approval. In case your payment is 30 days late, the creditor may report the same to the Credit Reporting Agencies. Well, if you share a good rapport with the creditor, they might not, but it's advisable always to maintain a good credit score. How does one late payment affect the credit score? The effect on the credit score is determined by how long the payment has been delayed. There are various factors that affect the credit score. The first thing that the creditor does when there is a late payment is that they will report the same to the credit rating agencies. These agencies evaluate how frequent has been your late payment and based on it they decide the credit score. There are various credit reporting agencies, and they have their model to evaluate the same so the score may vary from agencies to agencies which the banks would be consulting. 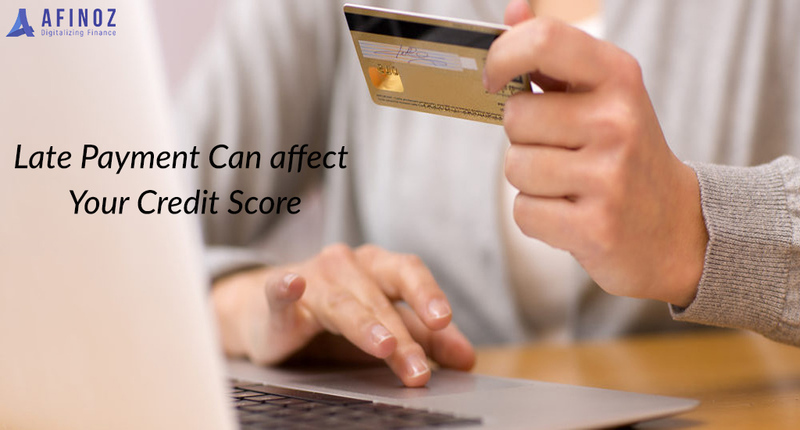 As mentioned above, one delayed payment may not affect the credit score too severly, but the continuity of the same can result in a poor credit score. Usually, the payment which is late than 90 days impacts your credit score more negatively than 30 days late payment. Additionally, the more recent the late fee, the more is the probability of a negative credit score. An important point to note here is that even if you miss one payment on one of your credit accounts, then the late payment will be reflected in your credit score. A bad credit score may result in delayed loan approval or no approval at all. Hence it is always advisable not to miss the payment so that you have a good credit score.